Excitement was in store for the middle and senior pupils aged 10-12 years-old at Stanhope Road School, Mt Wellington, a suburb of Auckland, NZ. The school has a total of 529 pupils from 29 different ethnic groups, so it is a very diverse school. While having a cup of tea in the staff room after Rotary Club of Ellerslie Sunrise members had taken part in a special reading session for 6 year-olds, Deputy Principal Jenny Bristow mentioned that children were about to start swimming lessons and hardly any of them had goggles. Swimming instructor Nicky Adams from Swim Magic, who was also helping with the reading programme, suggested it would greatly assist the instructors when teaching the children if they have the protection for their eyes to help them feel comfortable when opening their eyes under the water. Nearly all of the pupils are required to having swimming lessons, as it is the school’s goal to teach water safety and skills to the children, so they are able to survive and swim safely. 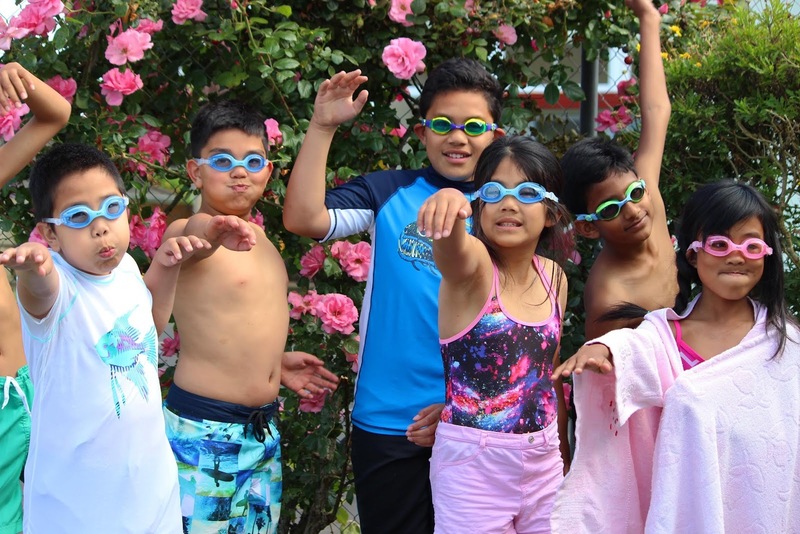 The Rotary Club of Ellerslie Sunrise quickly came to the rescue by obtaining 40 pairs of goggles stored in an aerated plastic bin for all to use. Great results have been achieved so far with the children feeling confident in the water. “The kids had so much fun posing and modelling the super doper coloured goggles”, said Stanhope Road School teacher Leigh Burrell, who enjoyed taking the photo.